Dr. Jane Martone thought she was attending a routine lecture March 15. But the College of Dental Medicine had surreptitiously arranged a gathering in her honor. 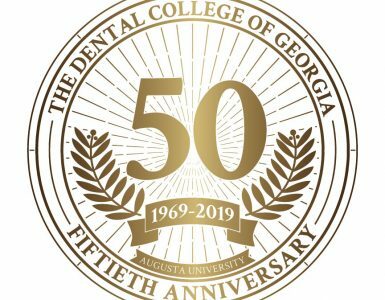 Martone, who has volunteered her dental services one week a month for 15 years in the dental school’s Advanced Education in General Dentistry and General Practice Residency programs, had the AEGD/GPR Resident Office named in her honor, thanks to approximately $30,000 in donations. 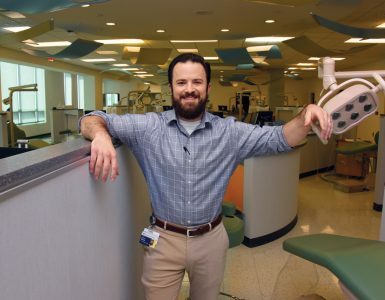 The office is the first in the new dental building donated for a volunteer faculty member. Dr. Kevin Plummer, Interim Chairman of the Department of Oral Rehabilitation, received the 2014 Teaching Excellence Award at a daylong leadership retreat for College of Dental Medicine Associate Deans and Chairmen on Dec. 5. Faculty and staff retreats followed on Dec. 15 in the Harrison Commons. 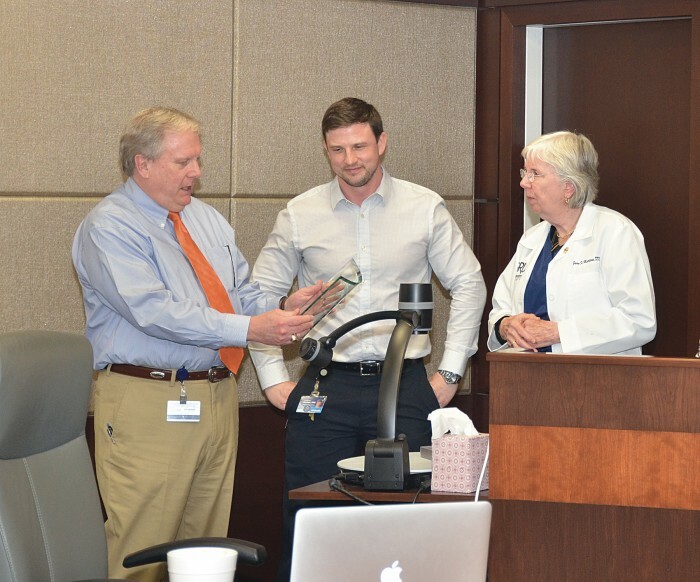 Other faculty recognized for outstanding contributions were Drs. Phil Baker, Drew Kious, Regina Messer, Jan Mitchell, Mark Peacock, and Fred Rueggeberg. At the staff retreat, Debra Richards, Operations Scheduling Coordinator supporting the Department of Oral Health and Diagnostic Sciences, received the Sherry Barnett Award in recognition of outstanding customer service to patients and colleagues. 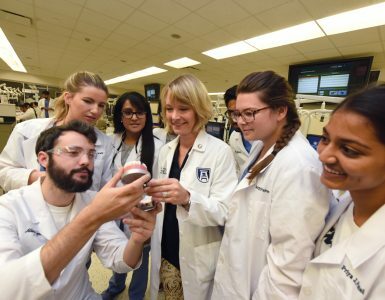 Dr. Stephen Hsu, Professor of Oral Biology, has received an Innovation Award for his green tea research from Georgia Bio. Georgia Bio, founded in 1989, is a nonprofit organization promoting the interests and growth of the life sciences industry. Hsu’s research has uncovered multiple healing properties of the polyphenols in green tea, leading to his development of several green tea products for Camellix, LLC. Dr. William “Andrew” Yeudall has been named Professor and Chairman of the Department of Oral Biology. 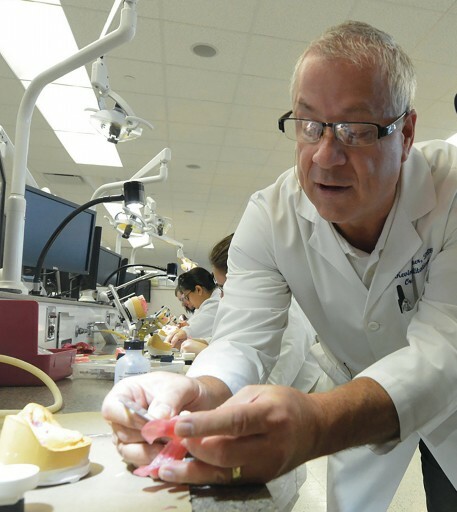 Yeudall, who joined the faculty in July, previously served as Director of Basic Dental Science Education, Associate Professor of the Philip Institute of Oral & Craniofacial Molecular Biology, and Associate Professor of Biochemistry and Molecular Biology at Virginia Commonwealth University. 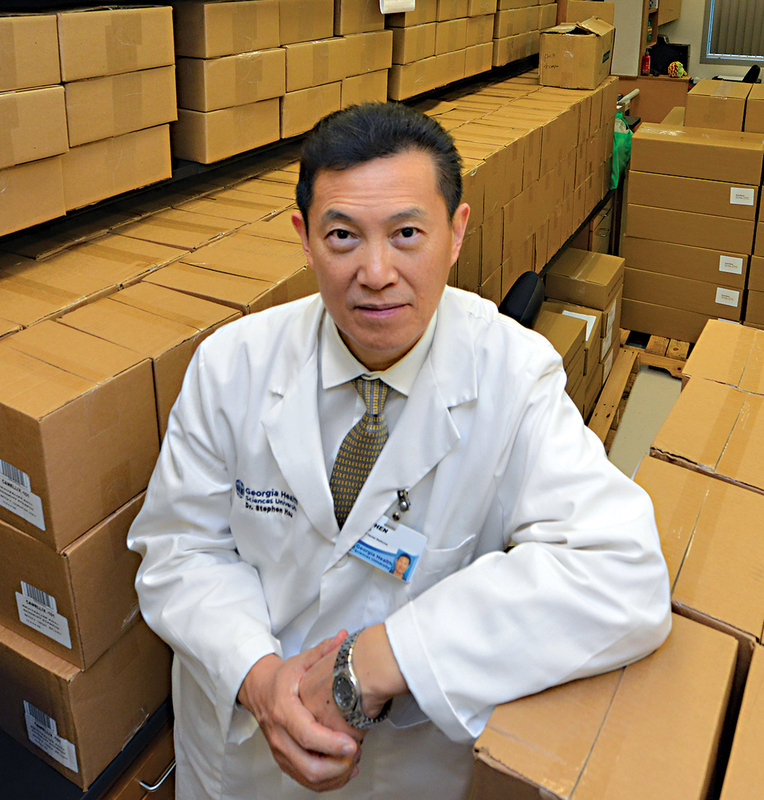 He was Interim Director of the VCU Philips Institute and Interim Chairman of the Department of Oral & Craniofacial Molecular Biology from 2005-13. He earned bachelor’s degrees in biochemistry and dental surgery from the University of Glasgow and a PhD in molecular pathology from the Beatson Institute for Cancer Research in Glasgow. He completed a Fellowship in Oral Pathology from the Royal College of Pathologists. Yeudall has secured multiple grants and has several National Institutes of Health-funded grants. He has written numerous research publications and helped develop Epidermal Growth Factor Receptor-expressing cancer cells and a cell-nanoparticle hybrid vehicle for drug delivery at VCU. He taught at the University of Glasgow, University of Bristol, University of London, and King’s College in London before joining VCU in 2003. Yeudall is a member of Omicron Kappa Upsilon, the International Association for Dental Research, and the American Society for Microbiology. He is a founding Fellow of the International Academy of Oral Oncology and an Editor for Oral Oncology, PLoS One, World Journal of Clinical Oncology, Journal of Carcinogenesis and Mutagenesis, Scientifica, Frontiers in Craniofacial Biology, and the International Journal of Chronic Diseases.